As one of the most prominent of our facial features, it isn’t surprising that many clients come to Aesthetics Lab seeking beautiful, natural-looking lips. Our lip enhancement procedures are a non-invasive solution to common lip complaints, including thinning and narrow, undefined shape. One of the most popular procedures available at Aesthetics Lab, lip filler injections involve the precise, controlled administration of hyaluronic acid solution into the lips. The result is natural-looking lips that are plumped to perfection. Lip enhancement is a fantastic, non-surgical solution to combat common issues including lip thinning, narrow or less-defined lips. We work with our clients to create a beautiful, natural-looking look for their lips. Lip fillers are cosmetic injections produced from hyaluronic acid, a naturally occurring sugar within our bodies. The gel solution is carefully injected into your lips by one of our experienced doctors. We believe that amazing results can only be achieved by a skilful and experienced practitioner. We take pride in our team of knowledgeable Cosmetic Doctors. 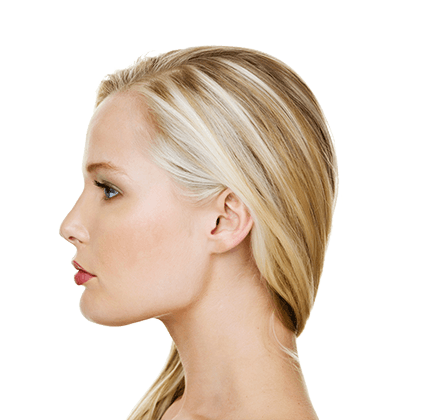 Although to an outsider, the lip filler procedure may seem simplistic and easy, it requires an extensive knowledge of facial anatomy, and an ability to blend scientific expertise with your needs and expectations – which we feel is where our expertise lays. One of Aesthetics Lab’s most notable features is our commitment to using only the best lip fillers available to provide our clients with an exceptional, safe treatment, and exquisite results. All of our products are CE marked (to show they meet the applicable EC directives) and have been personally tried and tested. Individual results may vary. Your health and well being come first at Aesthetics Lab. During your lip enhancement consultation, we rule out any contraindications, checking over your medical history. Your qualified cosmetic doctor will then assess your concerns to determine the required quantity of lip filler preparation. Use this opportunity to ask us any questions you may have. We always answer openly with honesty. Prior to your procedure, your personally-assigned cosmetic doctor will show you to a tranquil treatment room. Once you are relaxed, we will then administer the prescribed lip fillers via injection to achieve the desired aesthetic. Post-procedure, you will likely notice some swelling of the lips. This should subside within a few hours. Bruising can occur, although it is a particularly rare side effect. To reduce the risk of infection, avoid touching the lips or wearing makeup following your treatment. On average, lip enhancement results last for around a year. Individual results always vary, typically lasting between 9 and 18 months. I’m pregnant, can I have lip fillers? Currently, no thorough research has been undertaken to conclude the side effect of lip fillers in pregnant women. For this reason, we do not advise lip enhancement procedures during pregnancy. Prices start at £250 for Aesthetics Lab lip fillers. Book a no-obligation consultation to discuss your beauty goals and budget.